Whether you sit down for nourishment or sustenance, aliment or pabulum, a meal or a repast, you are unlikely to encounter a shortage of English words for food or the partaking of food. Refection is just such a word. It was first borrowed by Middle English (as refeccioun) from Anglo-French refectiun, which in turn was derived from Latin refectio (meaning "refreshment" or "repairing"). 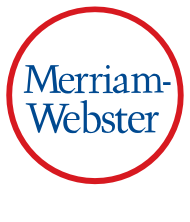 Refectio comes from the verb reficere ("to remake, renew, or restore"), a combination of the prefix re- ("again") and the verb facere ("to make or do"). Refection is not only applied to food, however. It has been used to describe many means of restoring or refreshing one's body, and of mental and spiritual sustenance as well. "… I should prefer that even in the 'Children's Houses' which are situated in tenements and from which little ones, being at home, can go up to eat with the family, school refection should be instituted." "The transparency of the venue is a testament to its promise of offering 'fresh and healthy' choices—being able to intimately view the process of preparation and see the fresh ingredients used to concoct your food will make you feel reassured that you'll be biting into a crisp, original, unprocessed refection." What adjective beginning with "o" is derived from Latin facere and means "of or relating to the sense of smell"?